It seems that with age I am getting increasingly snarky about the morality of eating animal products.While I am by no means 100% vegan yet, I have definitely tried to severely reduce the amount of milk products and eggs I eat. 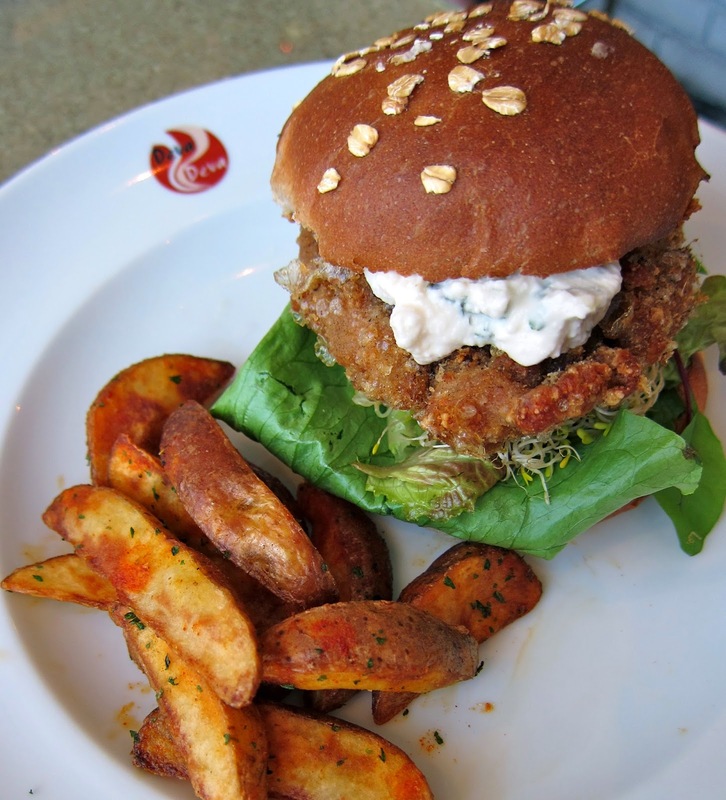 Since I know many others have similar moral (or health) concerns, I started listing some of my favourite haunts across the city, where you can get cruelty free tastiness! Lets start in Roppongi, of all places. A short stroll from Mori Tower you will find Chien Fu (which also has a sister restaurant in Kunitachi). 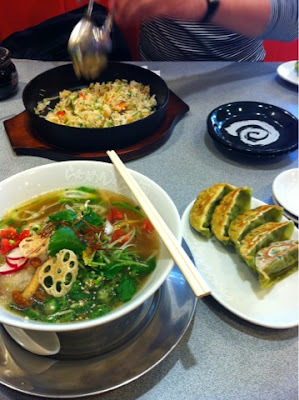 They specialize in Taiwanese style vegan food, with the fake meat the country is so famous for. The sweet and sour 'pork' is a major favorite, and their huge teishoku sets are all around 900yen. You can buy bags and cans of fake meat, vegan ramen and tofu mayonnaise on your way out too! Next up is Kagetsu, a major ramen chain. During the spring they have vegan ramen, gyoza and fried rice. Cheap and cheerful. 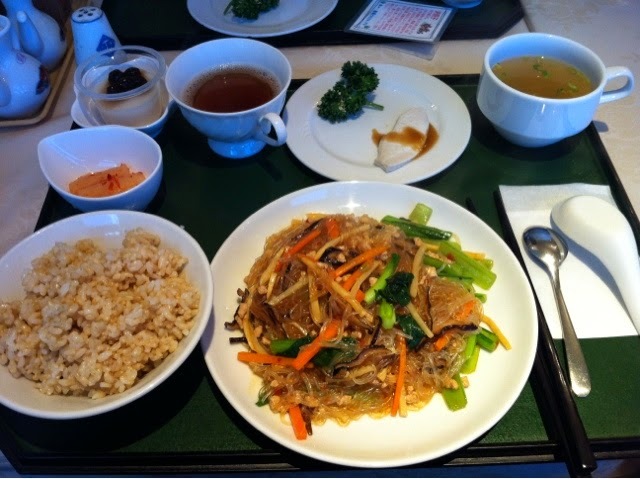 While not a restaurant, the health food store Natural House, which has branches across the city, usually has several choices of macrobiotic bento. 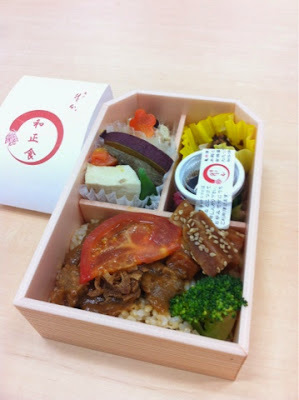 They are a bit on the pricy side, but allow you to have the traditional bento experience minus the meat and fish. My favorite is the 'meat' stew Nagomi set. 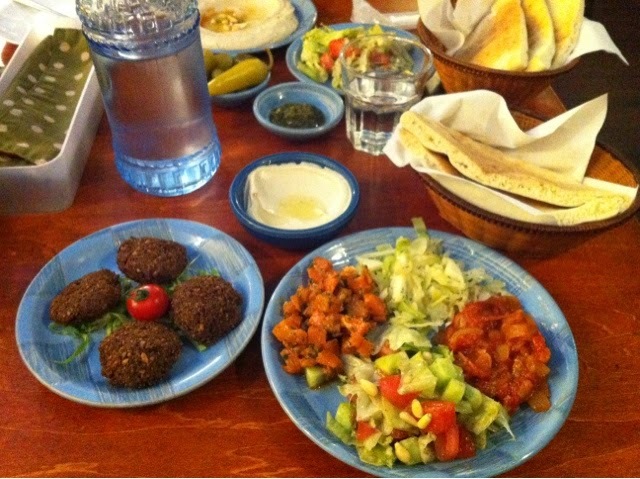 A hidden gem, if you so happen to be between Azabujuban and Shirokanedai station, is King Falafel. This used to be a twice monthly treat, when I worked in the area. 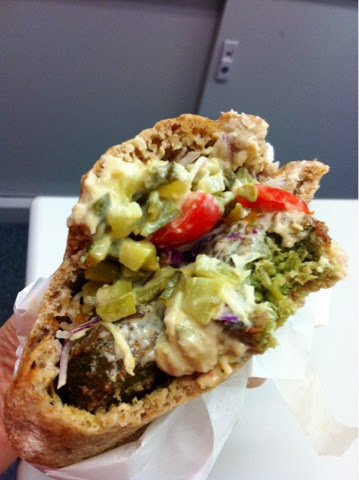 The owner is lovely, and the full sized sandwich is a serious meal, with freshly fried falafel. Serious yum, but only two little chairs outside for seating. On the same lines, Shamaim near Nerima is a bit of a hike from central Tokyo (unless you live there, of course), but has a fabulous falafel set and hummus set. 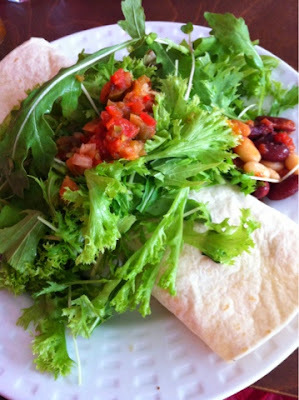 For something with a more American flavor, Good Honest Grub (housed in what appears to have been a normal house, between Shibuya and Ebisu) has an excellent Mexican bean wrap and smoothies. I have already written extensively about Eat More Greens (near Azabujuban Station) here, where the menu changes with the seasons (and has the most amazing Valhrona chocolate vegan doughnuts).The same goes for Deva Deva in Kichijoji (info here). Both T's Kitchen and T's Tantanmen are fabulous, with the first being one of my go-to lunch places when I lived on the Toyoko line. There are several more places I wish to go, and there are definitely some that have slipped my mind at the moment. Any recommendations? I would love to hear from other veggies in Tokyo! 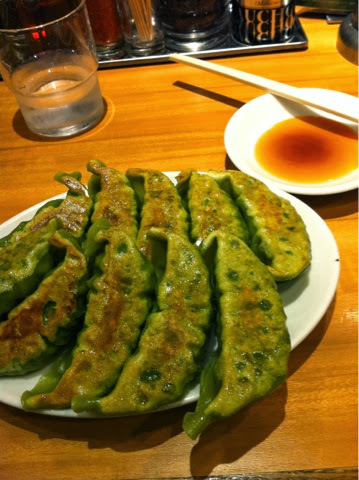 How about Monks Foods in Kichijoji? They have three set menus every day except Wednesday. If I remember correctly #1 is vegetarian; #2 is fish; and #3 is usually chicken, all organic. Oh, the eponymous Monk is Thelonious. Pita the Great (informal) in Akasaka. Mominoki House, walkable from Harajuku. Some places here. I went to Crayon House. It was OK. I haven’t lived in Tokyo for a dozen years now so I can’t verify the topicality of my suggestions. Good luck with your continuing Google searches. Thanks! I have heard (and passed by) Monk's, but have yet to go in. I am not exactly vegetarian, but I do have to be on a certain diet for health reasons. I am gluten intolerant and I have been hearing from people how this is going to be impossible in Japan and how I should probably stay in...-.- But I like to remain optimistic regardless! I know that my condition means that some common items are off limits for me, such as regular soy sauce (though I plan to bring Tamari with me and maaaaybe test out my tolerance level, as soy sauce doesn’t have thaat much, but I have to be really careful), flour items, curry ( I was so sad about that, but apparently if I can find real Indian curry that doesn’t use flour, I might be okay) and noodles, save for maybe rice noodles. I have researched a great restaurant called S. Komatsu in Roppongi that knows and caters to gluten intolerance, which I am soooo happy about. I know that I can do yakiniku and I have researched what I can possibly get at a Kombini and which alcohols are free of wheat. I plan to carry a card for sit down restaurants, that clarifies the situation and I am currently learning the language. But I wanted to ask, do you happen to know of any place where they might have gluten free options or knowledge? :) Any help is appreciated. This is you lucky day! My mother happens to be gluten intolerant and will be visiting soon, so I have been doing major research. As you know, this is going to be tough. Sushi may even be off limits (due to gluten in the vinegar), so you have a lot of sashimi in your future. There are a few places. Komatsu is gf friendly, but also apparently very pricy. Other places I have found are Aoyama3, 小米花 and some rice-only bakeries (look for 米粉100%). In addition, you can find vegan soy sauce, miso, mirin and dashi on Amazon. Finally, the chain Natural House and the pricy National Azabu supermarket have a few gf goodies. Sorry, I meant gf not vegan. Thank you soo much for this info, I will definitely check this out! :) I have had to do a lot of research too. I have noted, from some self testing, that I can tolerate the micro amounts found in grain vinegar (but not the amount in regular, non gf soy sauce), which is probably why I find that I don't react to sushi rice unless I eat a lot of it. But I will have to be careful regardless. Again though, thanks :) I will be studying at Temple University. There is a very good vegan indian restaurant in Ginza! :3 Have you been there?